Ever since I launched my own business three years ago, I am drawn to business books, especially when they have words such as "trailblazing women" in the title. Ever since I launched my own business three years ago, I am drawn to business books, especially when they have words such as "trailblazing women" in the title. 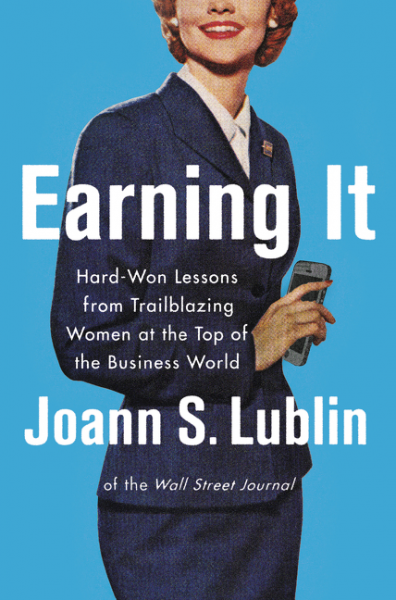 Journalist Joann S. Lublin introduces Earning It by recounting her own experience as a woman who worked her way in a male dominant work field. 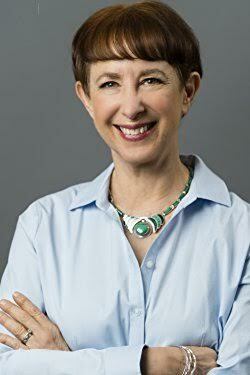 It is clear her objective in writing this book is to make women who want a top level career to feel a connection and learn from female business executives who overcame obstacles to succeed. Lublin interviewed and includes the stories of more than fifty women who have top business positions and shares what they learned as they made their way to the top. What I enjoyed about these interviews is that they were brutally honest. There is no set formula to becoming a CEO or achieving great success as a woman balancing family and a career. Some of the advice may not be what some women want to hear, but sometimes the only way to bring about big changes is to quietly persevere and ignore issues you can't control rather than making a ruckus, although sometimes one needs to make a ruckus too. All of the women portrayed had different circumstances and work situations, some of which were vastly different from one another. But a common thread is that all of these women wanted to reach to a certain level in their career and they fought in their own way to attain it. Each chapter ends with a bullet point summary of the leadership lessons learned, which I thought was smart. I particularly liked the chapter on Manager Moms Are Not Acrobats. As a woman, I feel that the corporate world is more balanced when women are on the board of directors. Women have helped to bring about positive and helpful changes for women in the work field, not just in top positions but in every position for which a woman is hired in a company. And I admire the women who have done this. Not all the stories will resonate with women in this book but I found in my case, I could glean good advice from them even though I am not a CEO or striving to become one. The book is filled with citations and statistics (with extensive bibliography notes and an index at the back of the book) which I found interesting and which I think makes this book ideal for all business students in the college or university levels. It would also be good reading for those interested in women's studies or sociology. And of course, for any woman already in or ambitiously striving to advance in her career. To read more reviews, please visit Joann S. Lublin's page on TLC Book Tours. Joann S. Lublin is management news editor for The Wall Street Journal and works with reporters in the U.S. and abroad. She frequently appears at conferences to discuss leadership, executive pay and corporate governance. She created The Journal’s first career advice column in 1993. She shared its Pulitzer Prize in 2003 for stories about corporate scandals. She earned a bachelor’s degree in journalism with honors from Northwestern University and a master’s degree in communications from Stanford University. She lives in Ridgewood, N.J.
Find out more about Joann at her website and follow her on Twitter. Disclosure: Thanks to TLC Book Tours for sending me this book for review. I was not compensated in any other way, nor told how to rate or review this product. I learn so much from a diverse set of women!